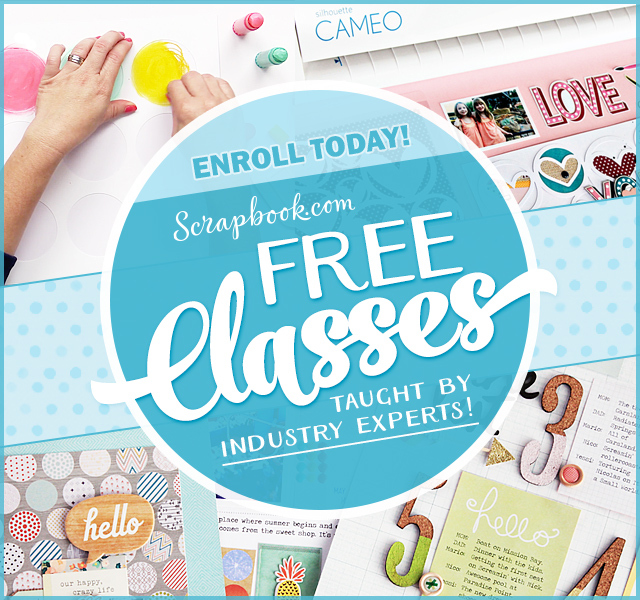 This is week there is lots of excitement at Add a Little Dazzle since we’ve partnered with Stampendous and all week long you will have the opportunity to see amazing projects created by both design teams, using Stampendous stamps and dies and Add a Little Dazzle craft metal. As every Wednesday today we also have our Dazzling Diva Challenge: Home for the Holidays! 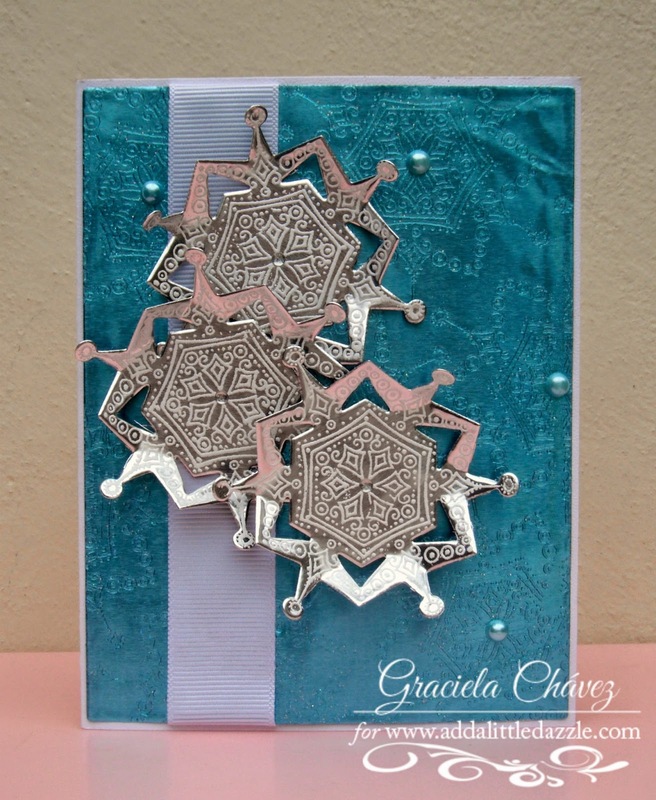 My card for today features Baby Blue Metal Sheet, Snowflake Die Set – DCS5069, Cling Delicate Snow – CRS5069. 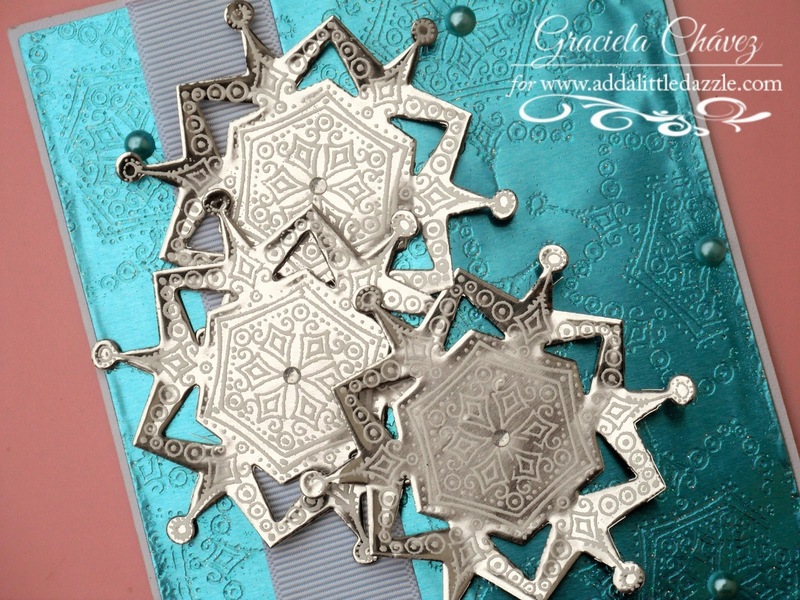 To make my card first I stamped and heat embossed this elegant and gorgeous snowflake various times to create a background on the craft metal piece. I used pearlescent powder to give it a subtle sparkle. Next I used the silver backing of the metal sheet to heat emboss three snowflakes in white. I die cut them with their coordinating die. I added a piece of gross grain ribbon in white to create contrast and created a snowflake cluster. I used vynil stickers to decorate my snowflakes and some turquoise pearls for the background. 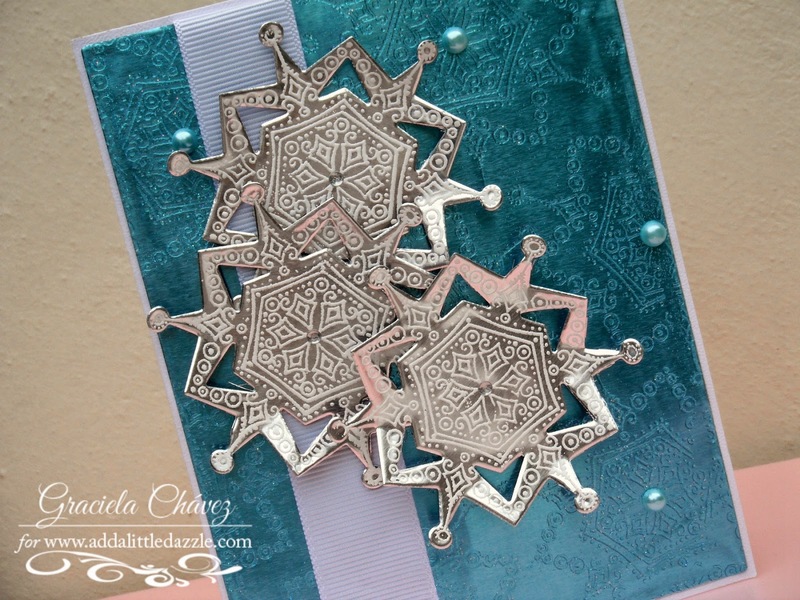 I enjoyed using this amazing snowflake set from Stampendous to create this CAS card. This will be a great card for anyone in the family when Christmas arrives. I hope you find time to play along our challenge this week, for a chance to win a $15 voucher to the store! 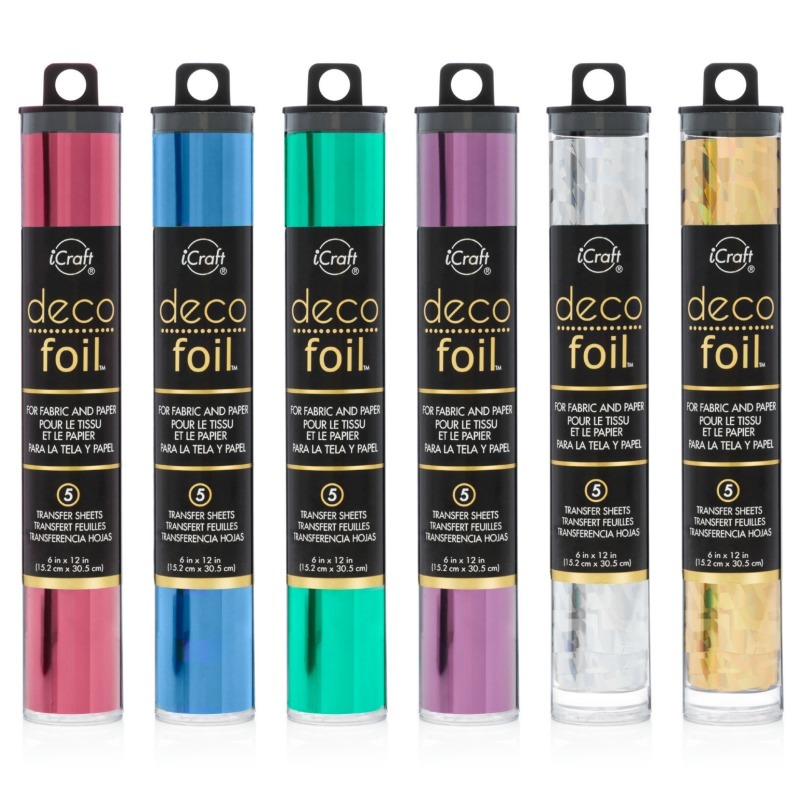 If you’d like to purchase gorgeous metal sheets, embossing pastes, Inka Gold, stencils and more please click HERE. There is more to see while you hop along to check out what the team has created for the challenge. As for me, I will be back tomorrow with a very different project for you, so stay tuned! 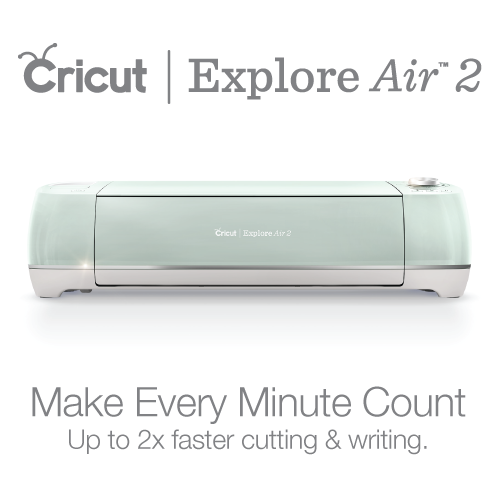 for a chance to win some amazing prizes! 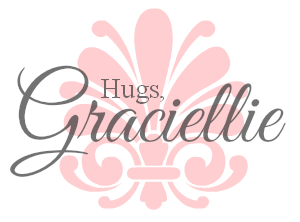 Graciela Chavez – You are Here! NEW! Floral Note Card Set, Floral Tags, and Digital Paper by the Sheet! Stunning and elegant in turquoise blue, love those snowflakes!! OOOOOOOOOOOOOOOOO! Can I marry this beautiful card? I absolutely love that it is mostly done in the metals!! Delicious!! I would love to receive a card like this for the holidays! TFS! Stunning! Love the embossing on metals! I will have to try that soon! WOW!!!!!!!!!!!! STUNNING, FABALOUS, BEAUTIFUL!!!!!!!!!!!!! WOW!!! Oh…already said that but I mean it, your card is the cat's meow so to speak. WOW!!! I just can't stop saying it. I HAVE to pull out my metal sheets today and try some stamping on them. Your stamped metal is so gorgeous! This is amazing! The detail in the pearlescent embossing and die cut snowflakes show so much sparkle. This card is sure to be enjoyed by the recipient. Thank you for sharing your creativity with us this week. Love the snowflakes and the shiny blue background. So elegant, Gracie! Love these colors! Beautiful card! There are so many possibilities with these metal sheets. What a lovely flashy card. The snowflakes are so pretty. Beautiful. Stamping the snowflakes on the large metal piece and then cutting another piece of metal to pop the snowflakes off the card is a wonderful idea. Thanks for sharing a great project. Wow, very eye popping. Just so shiny. Beautiful. Very nice card, love the snowflakes. This is so beautiful, Gracie! I love the pattern on the snowflakes and the matching pattern on the background. There's such great detail and texture. Really, really nice! wow! Those snowflakes are so pretty! nice card! Love the snowflakes! I definitely had to be an adventure cutting process make this beautiful card … and detail embossing snowflake … exquisite! Wow using the silver back side of the metals is such a good idea. Very pretty. Your color scheme is perfect and I love all the detail you added. So very, very pretty! WOW! That background is BEAUTIFUL! Love the card! I really like how you stayed with silver snowflakes and added (a little dazzle) the blue background. Such fabulous ideas, thanks for sharing your talent for design! Wow…….very gorgeous use of the metal!!! Love that you used the silver backside for contrast. That lovely stamped pattern on the flakes is exquisite!! Gorgeous snowflakes with the embossing powder adding that touch of softness to the shining metal! Really stunning card!